First units roll out from the Lincoln plant. 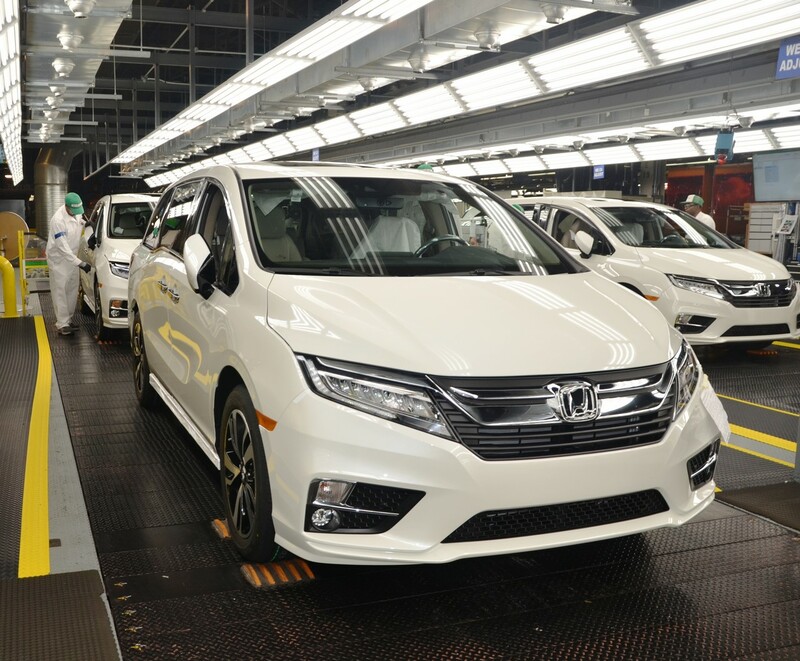 Honda has announced that it has started mass production of the 2018 Honda Odyssey at its plant in Alabama, USA. 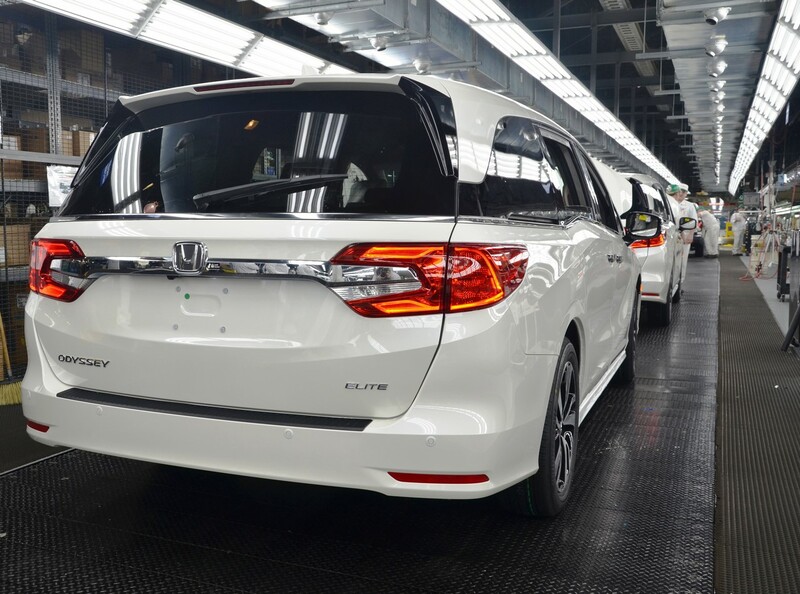 The fourth generation Honda Odyssey is manufactured exclusively at the Lincoln plant. The 2018 Honda Odyssey rides on the same Global Light Truck Platform as the Honda Pilot, Honda Ridgeline and Acura MDX. The 2018 Honda Odyssey rides on the same Global Light Truck Platform as the Honda Pilot, Honda Ridgeline and Acura MDX. The redesigned model is up to 96 pounds (43.54 kg) lighter. It is powered by the 280 hp 3.5-litre i-VTEC naturally aspirated V6 petrol engine that is paired to either a 9-speed automatic transmission or an all-new 10-speed automatic transmission. LED headlights with auto high-beam, heated ORVMs, heated and ventilated front seats, heated steering wheel, electric parking brake with brake hold, triple-zone automatic climate control, wireless charging, easily reconfigurable new Magic Slide second-row seats, 7-inch full-color TFT display inside the instrument panel, 8-inch Display Audio HD touchscreen infotainment system with Apple CarPlay and Android Auto, 10.2-inch WSVGA Rear Entertainment System, blind spot information and Rear Cross Traffic Monitor are the highlights of the 2018 Honda Odyssey's standard and available features. The 2018 Honda Odyssey is powered by the 280 hp 3.5-litre i-VTEC naturally aspirated V6 petrol engine. The 2018 Honda Odyssey will go on sale at U.S. dealerships nationwide in Spring 2017, i.e. by June this year. The all-new Odyssey, like the previous model, has a front-wheel drive drivetrain configuration. Honda could have offered an all-wheel drive system but the reason it will not is that doing so would require the vehicle to ride higher and compromise its interior space and car comfort.